UBER and other car sharing services like LYFT are becoming more and more popular throughout the country. Thousands of people depend on ride sharing for transportation. It is billed as both safe and cost-effective. While these services provide a new and many times convenient way to get around, it also raises new questions if you or a loved on is injured in an accident while using these services. Who is at fault? Does my UBER driver have insurance? LYFT & UBER are setup for passengers to hail a ride via an app on a smartphone. 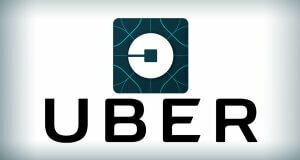 The ride sharing programs offer many advantages to the user. • Cheaper costs than taxi or cab services. • Quick availability of nearby transportation. • Option of even cheaper carpool trips. • Phone notification of ride arrival. • Schedule particular size of available car or SUV. • Prearranged deducted payment from a credit card. • Driver customer rating available. • Possess a valid U.S. driver’s license. • Minimum 3 years of driving experience. • Have a car that seats 4 or more. • Car must pass a company inspection. • Have in-state plates and current car registration. UBER requires all of their drivers to have personal car insurance. Additionally, it provides supplemental insurance coverage, but only while the app is on and a fare is active. When the UBER app is off, the driver is covered by their own personal car insurance. When the UBER app is turned on and passengers are in the car, a low level of supplemental liability insurance becomes active. Once a trip is accepted, a higher level of coverage kicks in. The extra insurance remains active until the passenger exits the vehicle. Previously UBER had only offered coverage when a passenger was in the car. Their policy was revised after a series of accidents resulted in various lawsuits. With these complex issues and new areas of court cases, you need an experience attorney who can help you navigate the complex area of UBER accident and ride sharing litigation. Contact the Law office of L. Clayton Burgess today to speak with an attorney who specializes in these types of cases. We have a highly trained to ready to assist you with even your most complex car accident case.